Concrete batching process is the process of mixing raw materials of concrete. The quantitative batching, timing, uniform mixing can guarantee the quality of concrete basic operation correctly. In the link of ingredients, it is important to the use of the mixer. 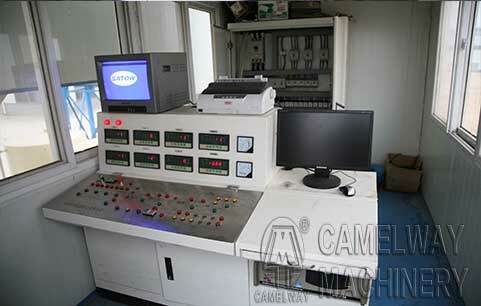 1, Concrete batching machine adopts computer network and computer automatic control technology to realize network monitoring and automatic control for the whole production process of concrete. 8, Multilevel password permissions to ensure production safety and the query printing function. This entry was posted in Brazil Batching Plant, Solution and tagged Concrete Batching Plant by camelway. Bookmark the permalink.